The Toy Store for the Hockey Player is doing it again – our annual Warehouse Sale is coming up and it will blow your mind. Mark your calendars for July 14th – July 24th to catch these great deals. It’s ten days only, so be sure you set an alert on all your phones and calendars so you won’t miss this great event to stock up on your favorite hockey brands. 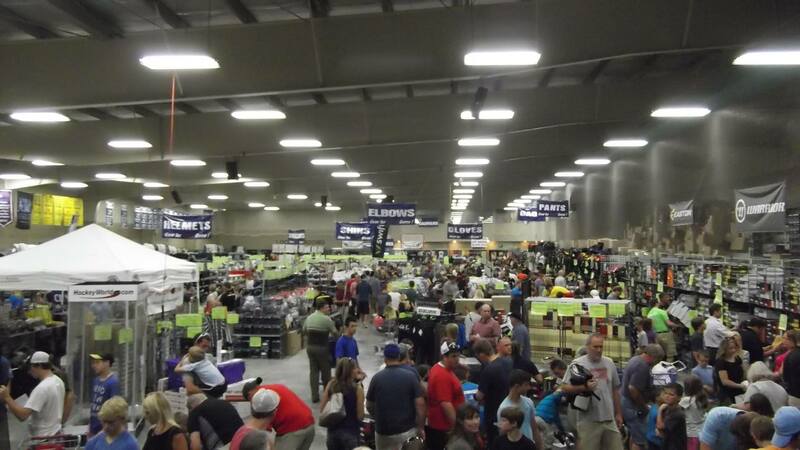 This is the largest single collection of hockey equipment for sale in the world. The 2016 Warehouse Sale is taking place again at the Farmington Hills Ice Arena (35500 West 8 Mile Road, Farmington Hills, MI 48335), and you won’t want to miss it. Our team rents out and takes over Farmington Hills Ice Arena and we clear out the ice to make room for all the gear we’re selling. It takes an entire team to set this all up and we do our best to make it organized for you to sift through, but we recommend getting there early, because we can’t guarantee how it’ll look after some crazed hockey players get their hands on it all. Hockey lovers can also test out the new goalie gear before you buy it, on Saturday July 16th from 3p – 5p, but participants must pre-register. It’s a great way to try out some of the best brands and newest gear, so it can get a little hectic, which is why we need everyone to pre-register so we can plan accordingly. Check out this YouTube video from our Warehouse Sale a few years ago to see the process for yourself – there’s definitely a lot that goes into it. Be sure to stay up-to-date with all of our sales and promotions throughout the year on our FB page. 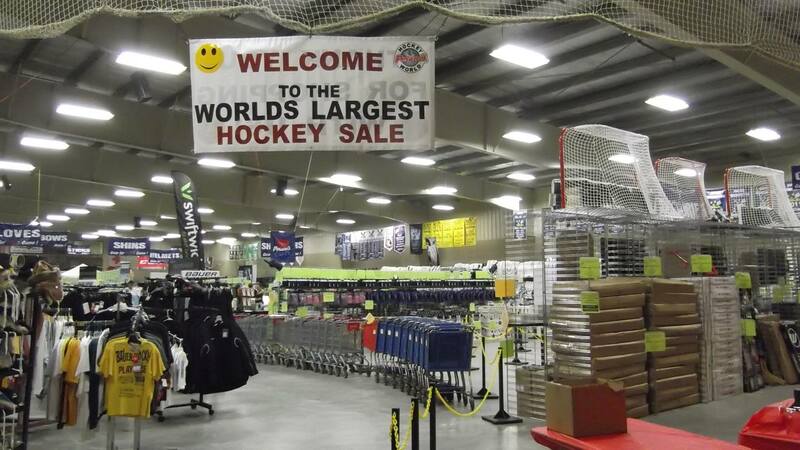 See you in a few days for the big hockey sale – we’re probably just as excited as you are! And bring your friends – they’ll thank you later!